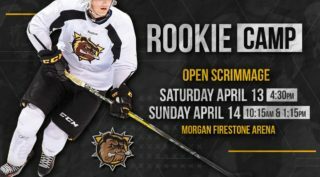 The Bulldogs knew Kingston wouldn’t go down without a fight in Game 4 and that is exactly what happened Tuesday night as the Frontenacs won 5-2 on home ice to avoid elimination and force the series back to Hamilton. Kingston got off to a quick start and took their first lead of the series at 3:32. The Bulldogs battled back as Mackenzie Entwistle (5) and Arthur Kaliyev (2) scored to give Hamilton a 2-1 lead. 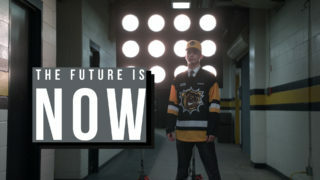 However, the Frontenacs tied the game 2-2 at 14:17 of the 1st period. Defense took over in the 2nd period with Kingston getting the only break at 15:03 to a take a 3-2 lead. Things got out of hand for the Bulldogs in the 3rd period mainly due to penalties. 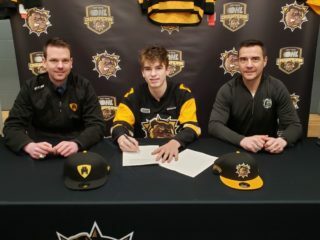 The Frontenacs took advantage and scored twice on the man advantage to make the final 5-2. Kingston goal scorers were Cliff Pu (4), Max Jones (3), Sam Field (1), Jason Robertson (9) and Sean Day (4). 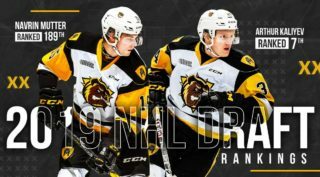 The Bulldogs still lead the best of 7 Eastern Conference Championship Series 3-1 with Game 5 back at FirstOntario Centre in Hamilton on Thursday at 7 pm.